Anthony and I are still studying the work of Toriyama Akira. This week: Dragon's Quest. You can check out his inspired interpretation HERE. Also I maybe pretended like he was Taran from the Prydain Chronicles while I was drawing him. Just a little bit. Drawing this was the most fun I have had all week. 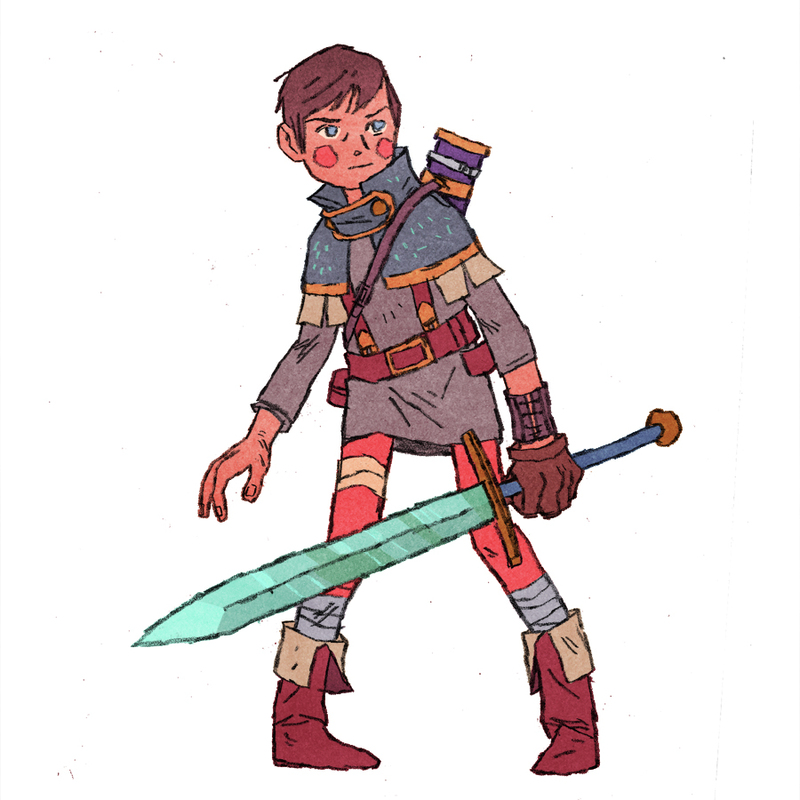 When I was a kid I drew little generic fantasy dudes with swords ALL THE TIME, but when I got 'serious' about art in college I kind of stopped. That was a mistake. I freaking love dudes with swords. That is a MIGHTY hilt. I hate to think of the leverage he's getting. One might be hewn asunder. Love this. You can't lose with ANY drawing of an Assistant Pig-Keeper that has nothing to do with Disney's film. This sweet style of yours seems to work for a wide array of topics rather well, Jake. I've been meaning to re-read those. way cool. I totally get where ur coming from! and this is awesome! Yaaay I'm inspired! It seems like you just shifted to the more subtly destructive guys with cigars. Or girls with guns. Or girls with guys with cigars. The world always appreciates more guys with a swords, though.